Wily, why u shave your eyebrows? 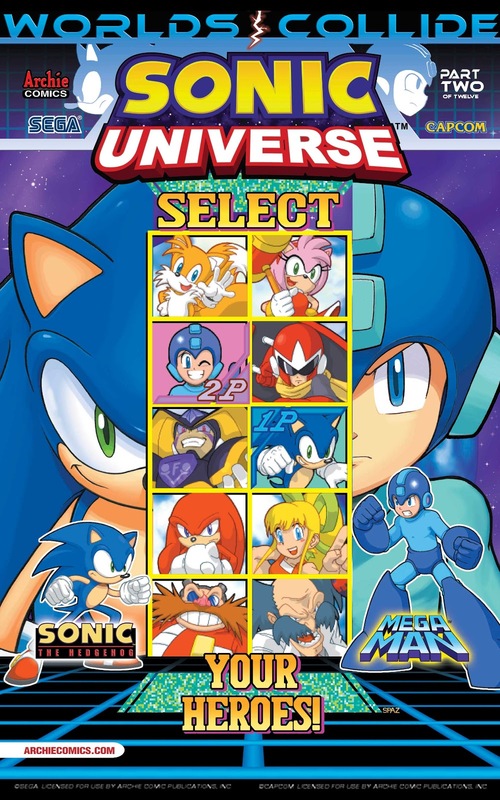 Hm, looks like the crossover is considered to be part of the StH comic series rather than the MM one. I guess that's okay, especially if the StH comic series sells more then MM's. 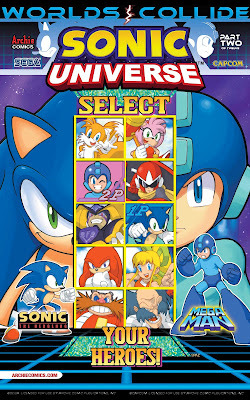 It runs in three titles, Mega Man, Sonic and Sonic Universe with three parts each month for four months. MegaMan's standing stance is a PERFECT rendition of the one he uses in both MvC's. It would've been even cooler if they used Sonic's from SONIC THE FIGHTERS. Well, touché, Archie. I didn't think I was going to pick up any issues from Sonic Universe for some time. Apparently I was wrong. Gotta' say, totally worth it. This is a crossover made in Heaven! This tried & tired concept of story arcs spanning across multiple titles is one of the cheapest tricks the comic industry has for boosting monthly sales. If they want more people to buy their comics, they try something a little more avant garde: Like paying for better writers and artists rather than hiring fans for scale. 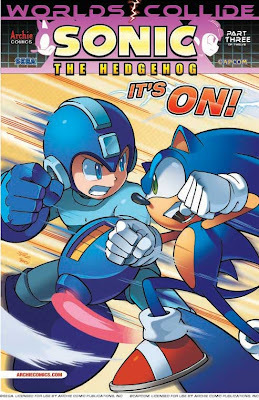 Sure, I'm mildly curious about a Megaman/Sonic crossover, but I'm just wondering if I should indulge this promotion or simply wait for the inevitable graphic novel. Either way, I'm more pessimistic than anything. 1) You're rejecting WWC solely because it's a comic book crossover, and writing the entire thing off as a promotion and not an actual story. 2) You imply that fans can never be good artists or writers, seemingly without considering that it might be a good idea to hire someone who actually cares about your book and the series attached to it, and so will be more familiar with the story and characters. ...So I would say to give WWC a chance and don't nitpick it to shreds (as I suspect you'll do).